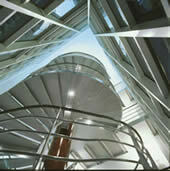 We consider Research Centres with extensive publications in Forecasting, in IEEE conferences, Journals, Book Chapters etc. for leading applications and research. 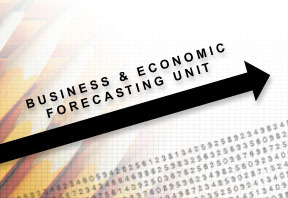 As almost every department has previously published some forecasting related material, the current initiative plays an important role as well. Please consider that rank remains subjective, and that we welcome contributions & comments. Although Georgia State doesn't have a research team dedicated to forecasting, Prof. G. Peter Zhang researches and publishes heavily in neural network forecasting. Research unit under the Supervision of Dr. Hans-Georg Zimmermann, showing a track record of year s in neural networks for forecasting. He has developed a commercial software simulator SENN and focuses on recurrent architectures. The LCF is one of a handful of international centres focussing its research and consultancy entirely on methods, processes and systems for forecasting. LAMDA is Professor Zhi-Hua Zhou's research group, which is affiliated with the National Laboratory for Novel Software Technology and the Department of Computer Science & Technology , Nanjing University , China. The main research interests of LAMDA include machine learning, data mining, information retrieval, pattern recognition, neural computing, evolutionary computing, and some other related areas. Currently our research mainly involves: ensemble learning, multi-instance learning, manifold learning, learning from unlabelled data, learning from cost-sensitive and imbalanced data, text classification, content-based image retrieval, face recognition, etc. Based upon the Department of Computer Science. Neural Networks Group at the Austrian Research Institute for Artificial Intelligence, Vienna. Neural Computing Research Group at Laboratoire d'Informatique de Paris Nord. SANS: Studies of Artificial Neural Systems, at the Royal Institute of Technology, Stokholm. Laboratory for Artificial Neural Systems at the University of Texas at Austin.